Dinner Menu for Winter is now available. 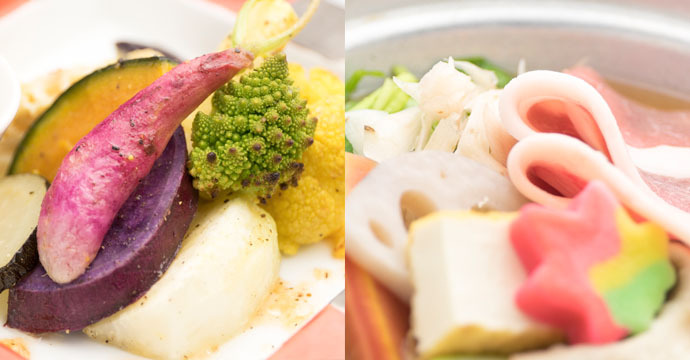 There are lots of delicious vegetables in Gunma. 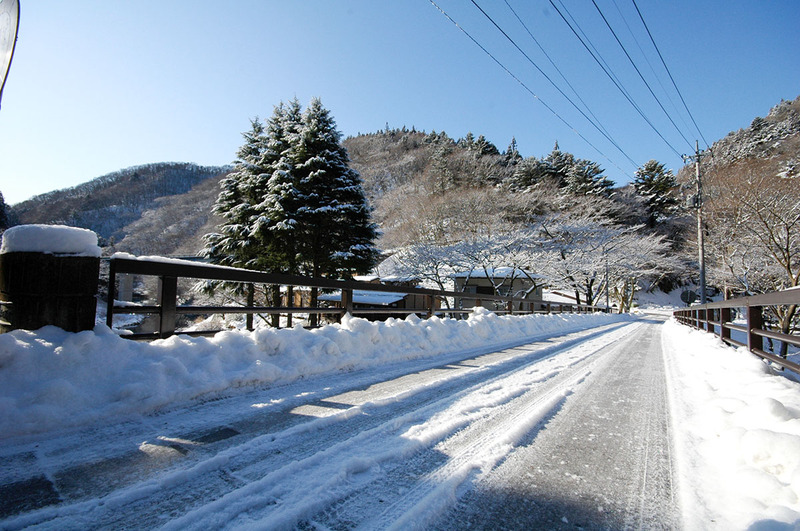 Including those vegetables, lots of prefecture’s and winter ingredients are combined, such as Gunma Ueno village pork & boar, Sakekasu of Kimusume, Okkirikomi. 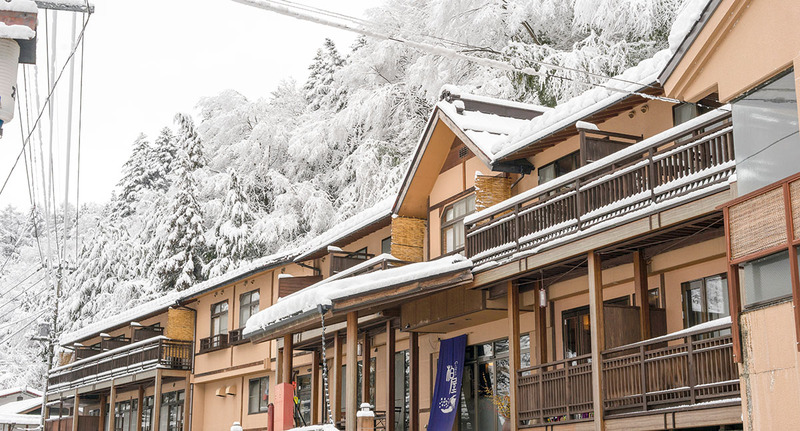 There are some traditional festivals that have spread around at Shima Onsen and around Nakanojo. As for them, I will introduce at this blog gradually. Today, I will write about “Torioi Matsuri” (Bird Catcher Festival) and ” Dondo Fire Festival “. Torioi Matsuri is the biggest festival in this area which is held every year on January 14th mainly in the shopping district around Nakanojo station in 20 minutes by a car and bus from Shima onsen. 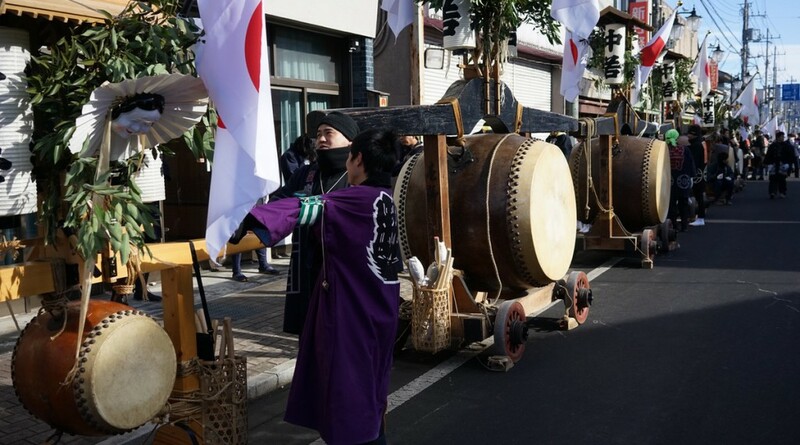 It is a heroic festival, where many big drum floats come out and young people walk around while making cheerful sound.